That’s what I keep hearing from friends who would rather strain their neck looking down at a screen than looking ahead while talking on it. Ten years ago, the notion that instead of talking on a phone, we’d be primarily tapping and jabbing away at them seemed foreign to all but the most astute observers of trends. Today, however, using a smartphone to make a call is as anachronistic as the antennas we used to extract. Despite the proliferation of text- and data-based communication, phone calls are still a big part of Canada’s mobile fabric. But as data speeds improved and apps like WhatsApp ate into SMS usage, the lowly phone call remained stubbornly unchanged. Even as VoIP services like Skype, Tango and Viber offered higher-quality calls, with newer wide-band codecs that didn’t obfuscate the subtle highs and lows of the human voice, the dominance of the regular phone call remained for one intractable reason: the phone number. Everyone loves getting mail, right? That’s why it’s worth remembering your postal code, for the odd time your friend promises to *finally* send you that postcard she’s been talking about since she got back from Thailand three years ago. These days, however, phone numbers are a burden; like business cards, their existence persists because we haven’t figured out how to replace them with something better. Well, we have, in the form of usernames, email addresses, QR codes and multitudinous other ways platform owners attempt to solve the problem of persistent authentication. But not everyone has a Facebook account (yet) or a Kik username; not everyone agrees that Skype sounds better than Google Hangouts, or Telegram is the superior messaging to BBM. Everyone, however, has a phone number. Even as data has become the primary revenue generator for most telecommunications carriers worldwide, cellular devices were designed back in the 80’s and 90’s to facilitate nothing but phone calls. The hulking Motorola StarTac in your parent’s oversized jacket pocket was a portable extension of the kitchen wall receiver, sans dial tone. And through 20 years of transition, from fat phones to pagers, to early communicators from Palm and BlackBerry, to current-day iPhones and Androids, the legacy infrastructure of these networks continues to bias the phone number over something else, something better. Which brings us to VoLTE. The promises of routing voice calls over LTE compared to legacy 3G networks are fivefold: higher quality, with more dynamic range and less compression, by using wide-band codecs similar to those used by VoIP apps like Skype; faster call connections, shaving five to seven seconds off the time it takes to hear a ring; greater spectral efficiency, so less spectrum needs to be allocated towards calls; native video calling support, so anyone with a supported smartphone, regardless of platform, can transition from voice to video call; and the ability to stay on LTE during a phone call, so data speeds don’t suddenly drop. Because Rogers (and sub-brand, Fido) is the only carrier in Canada to support the new technology, and it only works on variants of the iPhone 6s, Galaxy S6 (and Note 5) and LG G4 (including the low-cost G4 Vigor), it’s difficult to test the new feature on a wide scale, but even with a limited rollout VoLTE is still immediately gratifying. The most notable improvement over the previous system is how quickly calls connect. 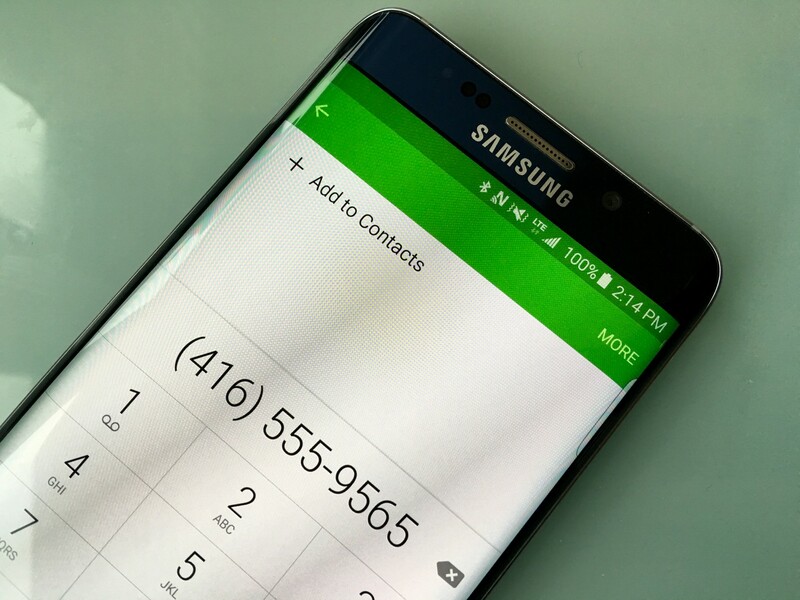 Whether you’re calling another VoLTE user, or someone on another network, calls connect considerably faster, as the switching mechanism on the Rogers backend has been overhauled. 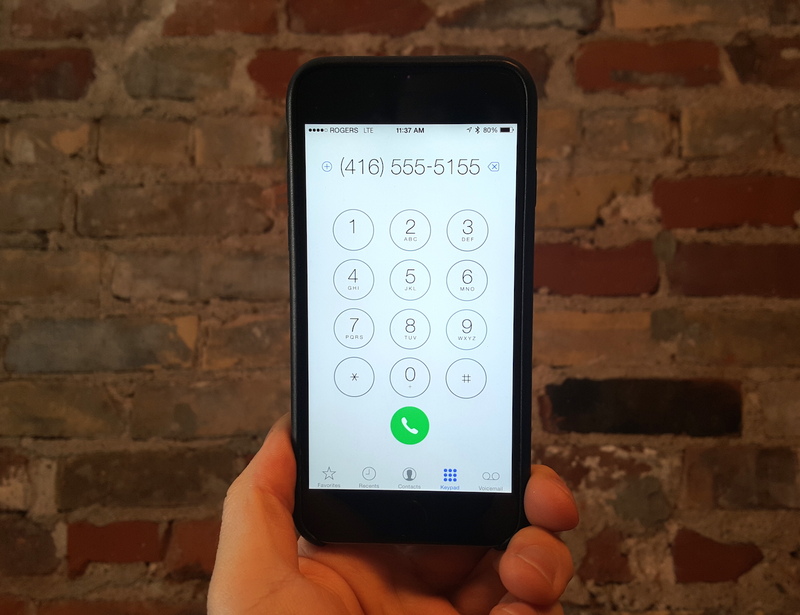 Not only does the call remain on LTE throughout, which obviates the drop to 3G, but you’ll begin hearing the “ring-ring” of the other line four to five seconds sooner. In our tests, calling another VoLTE-enabled phone from an iPhone 6s Plus connected in just under four seconds. The same call made to an older phone on the Rogers network connected in 7.3 seconds. A call made between two non-VoLTE devices connected in 10.45 seconds, almost three slower than the newer devices. Faster connection speed is, for me at least, ample reason to hurry the transition to VoLTE, but things get better when you phone another user running it. Because it is a single standard, as long as both the network and handset have it enabled, VoLTE works seamlessly between providers; this alone separates it from the gimmicky HD Voice option, which, despite improving fidelity, only worked between calls on the same network. Calls between VoLTE users sound fuller and richer and, most importantly, more human. The person at the other end of the line doesn’t sound like she is filtered through an infinite length of wire, or separated by vast expanses; it’s the type of digital improvement that allows us to all sound more like ourselves. VoLTE isn’t just better for consumers: it frees up valuable network bandwidth on the carrier side, since LTE is a much more efficient use of spectrum than HSPA+, which is used on most 3G networks in Canada. Eventually, once nearly all of its traffic has migrated to LTE, Rogers and its ilk will be able to repurpose much of the spectrum it uses for 3G for newer things — more LTE, or whatever comes next. There is the question of how much longer the voice call will even matter. Real-time communications have largely been redefined to include half-duplex methods like the hugely-popular voice message feature in WhatsApp, iMessage and others. The asymmetry of a text-based message, even one that offers read receipts, has offered implicit consent for people to ignore phone calls, and to respond with myriad alternatives; I often find myself letting a phone call ring only to respond with an IM or text message. Perhaps this is why carriers have been slow to roll out Voice Over LTE, since it’s far less remarkable — or marketable — than faster download speeds or unlimited music streaming. But like cockroaches or Twinkies after a nuclear disaster, the phone call, in its self-contained real-time simplicity, will live on well after all the messaging startups die — or are bought by Facebook.